The beautiful Santa Cruz Mountians has become a haven for some of Silicon Valley's most creative and powerful. 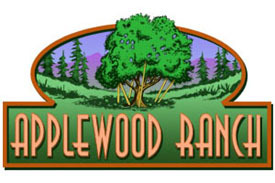 A family member of one Valley's giants wanted a logo for their ranch and in particular to put on the doors on their collection of classic farm trucks. Wild West developed this logo wihich fit the bill perfectly.